Storytelling Online Report - nexxar lab. Telling stories with online reports. A few examples of storytelling in digital reports. Corporate reports are the leading medium of financial communication with high management attention and different target groups. Apart from providing regulatory communication, they are also useful in telling a story about the company. We’ve collected a few best practice examples of storytelling in digital reports. 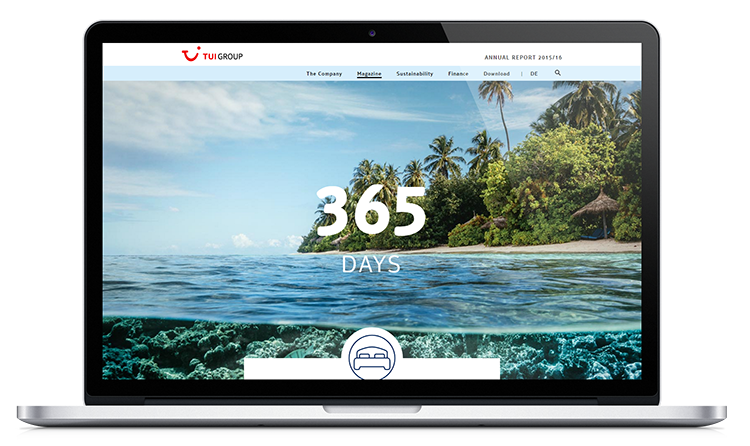 TUI offers a great example of digital storytelling. The stories in the online report are enriched with cinema graphs, moving elements and simple infographics. 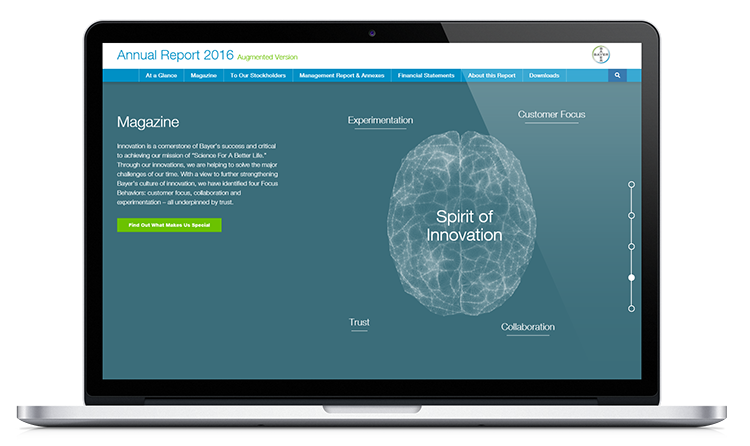 Metro portrays innovative customers, partners and employees in the online report. 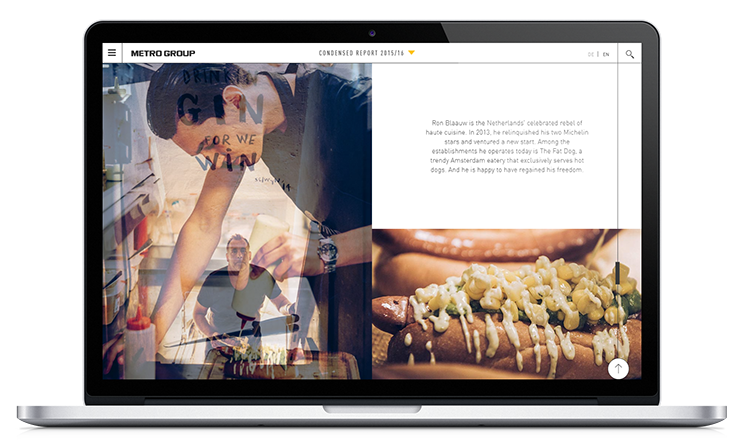 Split screen waterfall pages tell the exceptional stories in a very personal manner and therefore show the additional value of online storytelling. This digital magazine contains three stories of Bayer’s researchers, patients and customers that illustrate the company’s work and achievements. Each story is told in text, pictures and elaborate videos. 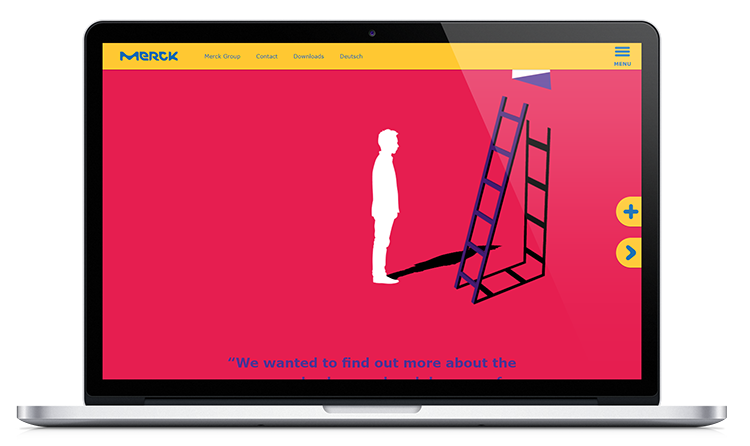 We like the parallax scrolling effects in the online annual report of Merck. Some elements also move, when users scroll.